Wei Minzhou, the deputy head of a northwestern Chinese provincial legislature attended several official functions on May 23. That evening, he was even featured on the provincial newscast. But three hours later the Chinese regime’s anti-corruption agency announced that Wei, 61, was being investigated for “severe disciplinary violations,” Party parlance for corruption. Wei is the latest “tiger,” or high-ranking Chinese official, to be purged under Chinese leader Xi Jinping’s anti-corruption campaign. Over 200 high ranking officials have been purged, and over a million Chinese officials have been investigated as of the end of 2016 for malfeasance. Wei joined the Communist Party in 1975, and has spent his entire official career in Shaanxi Province. 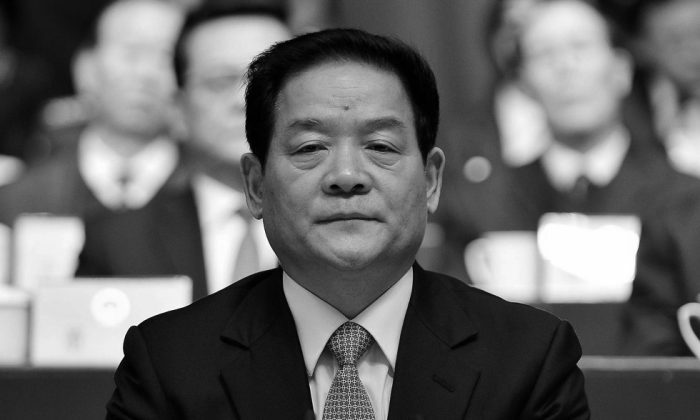 Wei’s highest appointments include being Party secretary of Xi’an, Shaanxi’s capital, from June 2012 to December 2016, as well as deputy head of the Shaanxi People’s Congress from January 2017 until his arrest. He is the third deputy provincial level official to be purged from Shaanxi since Xi took office as Chinese leader in 2012. Wei Minzhou has been criticized by many for being irresponsible and feckless, for inhibiting Xi’an’s development, and for poor governance, according to Caixin, a prominent business publication in China. Caixin also notes that the Xi’an public holds Wei responsible for a high-profile scandal involving defective subway cables. The abrupt manner in which Wei Minzhou was taken away—merely hours after attending official meetings—is typical for anti-corruption operations. Zhou Benshun, the former Party secretary of Hebei Province, had presided over a meeting concerning the development of a megacity near Beijing just hours before his arrest in July 2015. In March 2015, Wang Debao, the vice mayor of Nanjing, the capital of Zhejiang Province, was escorted away by anti-corruption agents in the middle of his daughter’s wedding.